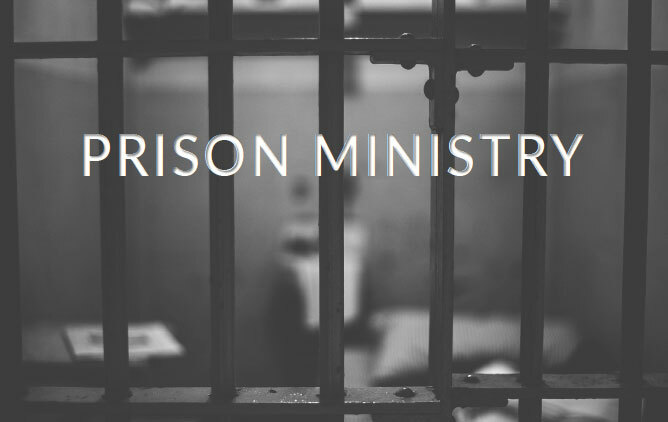 The month of July highlights the Prison Ministry, a Ministry of which is divided into two sectors: Men’s and Women’s. As a whole, this Ministry offers to the community an extension of worship and prayer with the “forgotten ones”—a service that is deeply embedded within the Ministry’s primary goal: To Save The Lost And Minister To The Ones Who Are Saved Using The Word Of God. (Ref. Matthew 25:37) Founded by Evangelist James E. Jones and Deacon James Spyies, the Prison Ministry boasts a strong partnership with Bill Glass Ministries, whose efforts focus on prisoners as well. Presently, the Ministry is headed by Mrs. Gladine Spyies (Women’s) and Deacon Leslie Lake (Men’s). “In addition to Mrs. Spyies and myself,” added Deacon Lake, “we also have some faithful laborers—Deacons Dwayne Strong, James Williams and Mrs. Shirley Gilbert.” The Ministry currently meets every Tuesday night beginning at 8pm and ministers to the Houston County Detention Center. According to Deacon Lake, the Ministry ministers to one men’s pod and one women’s pod. “There are 5 pods in the Houston County Detention Center for men, and one for women. The future direction is to work more efficiently within our partnership with Bill Glass Ministries. Houston County Detention Center is limited to the amount of participants, whereas the national ministries do not limit the number of participants,” stated Lake. Other Ministries within the F.B.B.C family have also been involved with the Prison Ministry. The Acteen Ministry baked over 500 cookies this past April to show their support, as well as Pastor Morgan extending his moral support. Those who would like to do Prison Ministry Work can join the local efforts when invited by Bill Glass Ministries or Kairos Ministries.